Ah, the Grim Patron deck. It’s bad enough that he spawns copies of himself every time he takes a hit, but then his mates turn up, buff his attack power and allow his doppelgangers to attack as they spawn with Charge. It’s infuriating the be on the other end of. Well, now it’s dead. 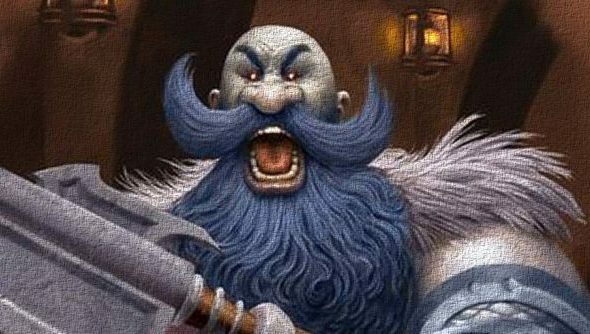 Our Ben wrote an in-depth piece about why the Grim Patron Hearthstone deck should be nerfed. And now it has been. Well done, Ben. You might be wondering how Blizzard have nerfed the deck. The thing is, you might not like this. 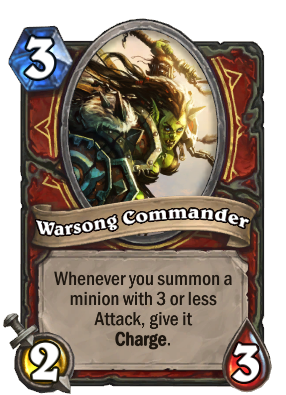 The Warsong Commander has basically been made redundant. Sorry about that. Where before it read: “Whenever you summon a minion with 3 or less Attack, give it Charge.” Now it reads: “Your Charge minions have +1 Attack.” So you probably won’t be playing that card again any time soon. Blizzard’s community manager had the following to say of the change: “Over the course of the short but impactful history of Hearthstone, we’ve taken a strong stance that we’d like to make changes to cards only when they are completely necessary. The direction of gameplay and the metagame should be defined by our players, and as the meta is evolving, many different types of decks can emerge. Cards that were once impactful in the meta can be less so once new strategies emerge, and that change is brought on by the constant need and drive for innovation by our players. “Innovation is just one way a game can evolve, and the best way to shake up the meta and innovate in Hearthstone is by introducing new cards into the game. Introducing new cards to Hearthstone is our preferred method of changing the current state of the game. It’s exciting to discover a deck that may have an advantage over a popular deck out there, and new cards lead to the discovery of new combinations, and new conversations. Hearthstone thrives off of stories about enjoying a fast-paced, fun game with friends that’s full of delightful surprises. The patch is expected to arrive some time next week.